Skin cancers on the face and around the eyelids are common and need to be found and treated early to preserve as much healthy eyelid and skin as possible. Dr. Lattman often works closely with MOHS surgeons to successfully treat eyelid skin cancers and then to reconstruct the eyelid with minimal scarring and preserving the important functions of the eyelid. Please reach out to Sophia, our Patient Coordinator, with your photos and questions, via email sophia@nyplasticmd.com, by phone at (212) 832-5456, or schedule a consultation. I had a basal cell carcinoma in my eyelid in the summer of 2012. 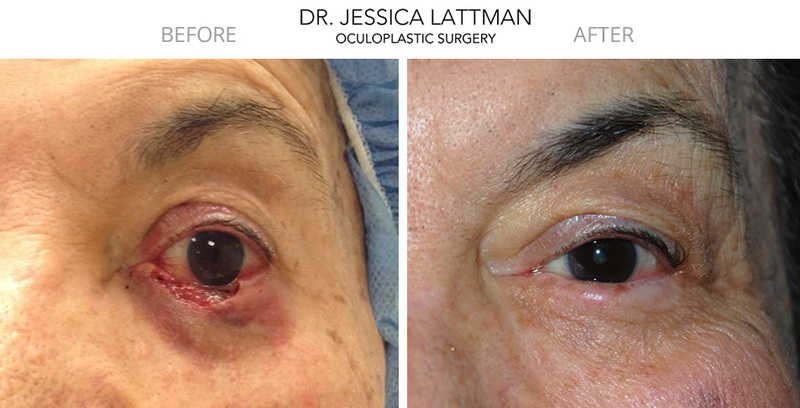 After a MOHS procedure by a dermatologist, Dr Jessica Lattman performed a reconstruction of the lid with a superb result. The eyelid was indistinguishable from the other and my vision was unaffected. Two years later I had a recurrence of the basal cell carcinoma. This time the MOHS procedure was much more extensive, resulting in the loss of a large part of the eyelid. Accordingly, the reconstruction was much more complex than the first time, even necessitating stitching the eyelid shut for a month for the graft to take hold. Once again, Dr Lattman achieved a remarkable result: the affected eye looks like the other. I have needed several follow-up appointments to remove inward-turning rogue eyelashes from the graft. 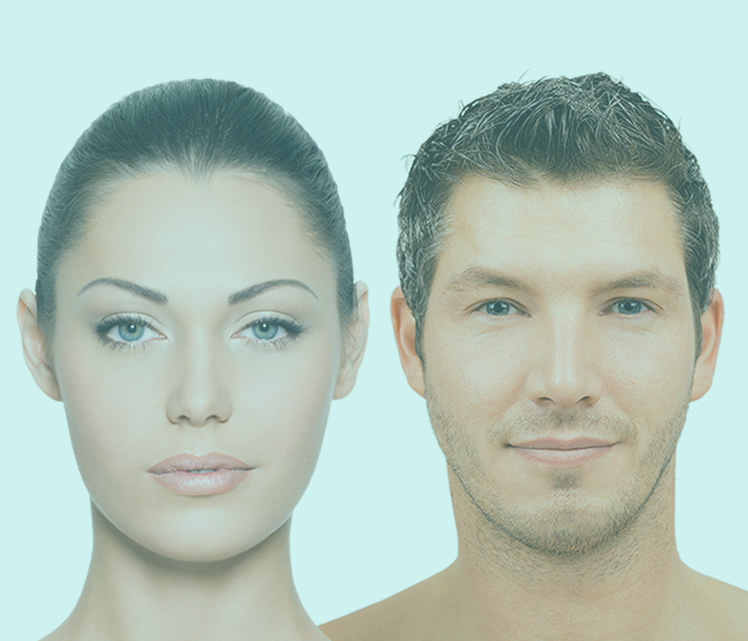 The office staff has been very accommodating in scheduling the appointments quickly and Dr Lattman has successfully dealt with the nuisance hairs each time."